I proudly present: Silvia Spechenhauser, clown and comedienne. With her I had the most versatile and spontaneous shooting ever. On a stunning september day, cycling through Vienna, exploring the best locations. Silvia gave me a vast amount of poses, moods and vibes! Have a look! Just love my job! “How does it taste what you eat in your country?” was the theme of the following photography serial taking place in Vienna. Four Syrien woman were invited to cook for Austrian woman and they create a wonderful menue full of warm aromas and interesting combinations! 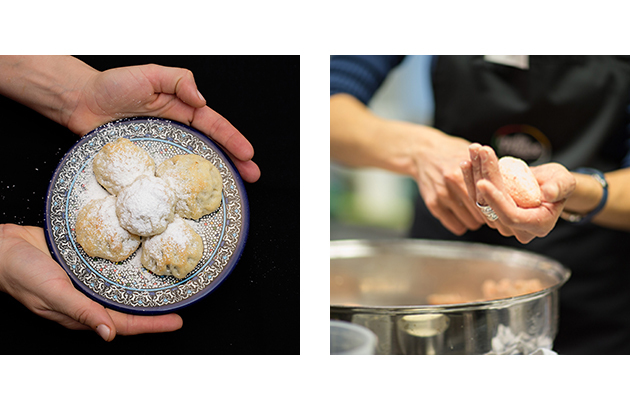 I had the honour to documentate this cooking event for an Austrian magazine. I love doing reportage works as they give me the oppurtunity to immerse into new cultures, other peoples, complete different stories. For more pics please click on the following link. Comissioned by an austrian magazine I met Bernadette on a hot summer evening in Vienna. She works as a foodstylist and it was interesting to see her workingplace and studio. In the backyard we arranged this simple little setting for the portrait session. CASTING VIDEO FOR "ALL I NEED" from Patrizia Gapp on Vimeo. A portrait is not just a portrait. I think one of the most important things about it is the interest in the subject. It’s all about connecting to people and finding out things about them. I really love portraing peole as I am a genuinely curious person, especially about people I’ve never met or I barely know. It opens me up new points of views, another perspective. Christina also works as a photographer and we got closer portraing each other. This portait session took place at Yppenplatz in Vienna, one of my favorite spots in the city. … networking is just great! 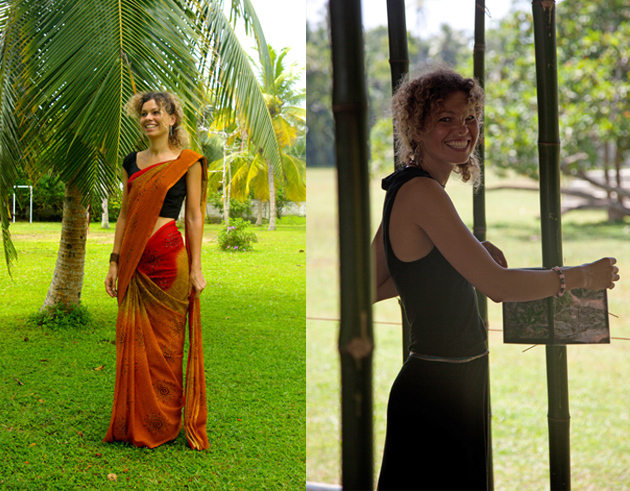 After meeting the founders of Anagathaya (www.srilanka-zukunft.at) and having the homestory photoshooting in Sri Lanka they asked me to organize a workshop for all the members! And tada, here we are! 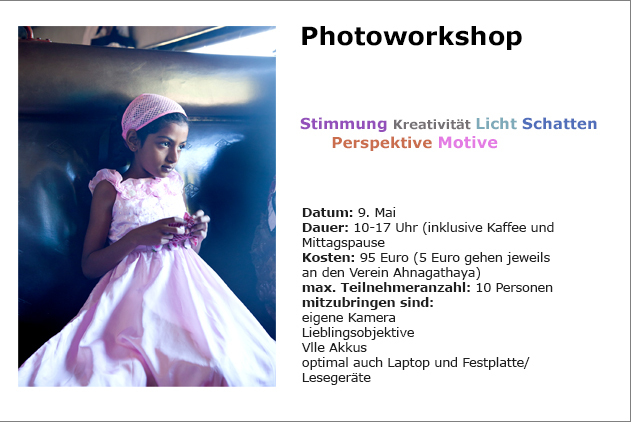 The workshop will take place the 9th of May in Vienna, have a look at the following information about the main focus! A few weeks before my trip to Sri Lanka an article in the “vormagazin”, an Austrian railway magazin, caught my attention: It was about all I need, a beverage based on green tea, produced with fair trade ingredients amongst others with Sri Lankan ginger! Back home I started doing some internet research and found out that besides a clear commitment to organic cultivation and fairtrade, the company also supports education of children and adolescents in Sri Lanka, Tibet and Nepal! Great thing! 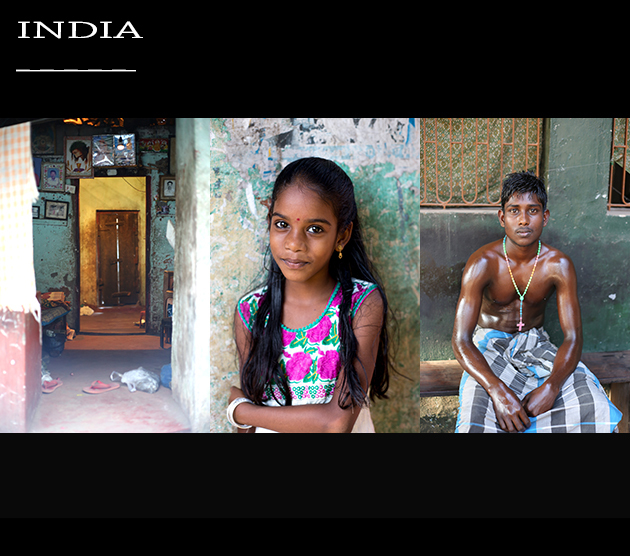 I decided to offer my services and receved an immediate answer: the company commissioned me to photograph a homestory in Sri Lanka! A few days before departure I also met Michaela and Claudia, the founders of the organisation Ahnagathaya who build a school offering additional mentoring which accomodates more than 100 students. In Sri Lanka I visited the school, had talks with the teachers and the sweet students and I got to know Sampath, one of the most dedicated Sri Lankans I have ever met before! Such a great experience! Have a look at Chammys story, one of the english teachers in the school, and a girl who I was really impressed by! Las Palmas offers a range of sunny locations to shoot outside! I had a funny yoga shooting with my great spanish model Noelia! 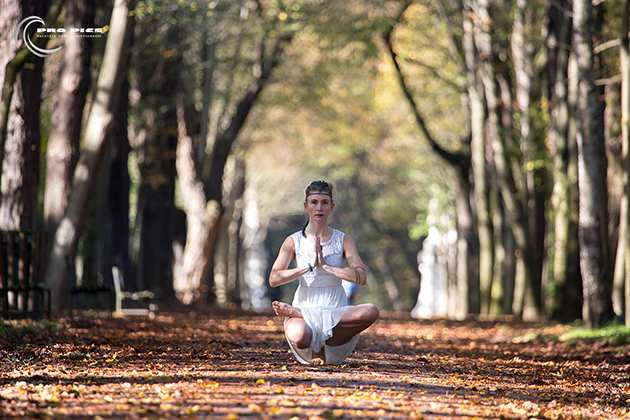 An incredible November day and we went to the Donaukanal in Vienna for shooting new yoga pics. while doing his asanas fully concentrated. 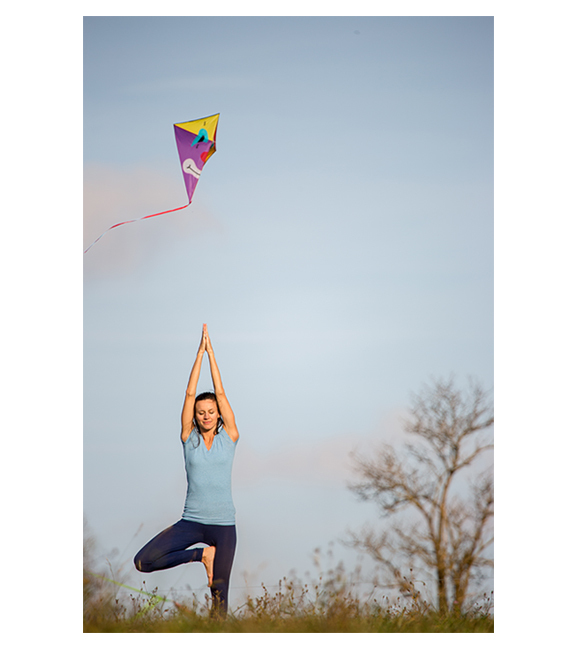 very funny yoga fotoshooting inbetween crazy happy kids who were all busy with flying their colourful kites. Photography Workshop from Patrizia Gapp on Vimeo. I love practicing yoga, its just great! During a walk through Vienna forests I was so impressed by the wonderful colors of autumn and the beauty of nature. It was kind of magic and I decided to do a yoga shooting with Sophia who I meet in my yoga class! Enjoy the yoga series! The east coast of Sri Lanka is home to a very beatiful landscape, wounderful beaches and some really good right hander waves. I started out as a surf photographer while travelling and spend six months on this stunning Island following my passion. I love to be at the ocean, taking pictures and videos of mother nature and the people around. Its just wounderful to get up early in the morning, watching and capturing the sun and its rays as it rises. 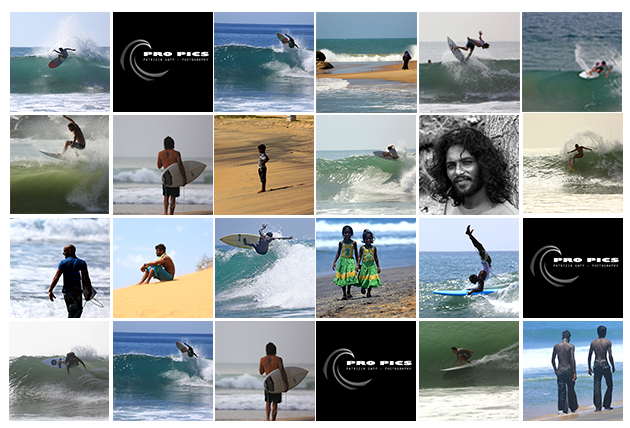 Have a look at the surf pic gallery! During my trip through south of India in January once again I experienced that being around with my camera is so much more than just capturing special moments, faces or beautiful colors. I met Mohan, a very charming and charismatic old indian man with warm eyes. Attending me during my excursion through the colourful little fishing village he opened me up a deeper insight in a completly other world. As I wanted to leave a memory to the people I printed the best shots in the evening. The day after I was looking for Mohan, so he could give the pictures to the people, but he disappeared. I started to ask people, and they ask other people, and they again ask other people and so on and so on, finally, there he was! A great experience, a little adventure, a beautiful insight. Wrinting about this country is not easy – I can tell that I lived some of my best experiences in life in Sri Lanka, among this unbelivable beauty of nature, on this island full of contradictions, with a heavy history, and characterized by religios traditions and somehow a present army. What captured my interest was the familys and it’s constellations. The living together is so much different than everything we are experiencing in Europe at the moment. The family has a much higher value based on respect towards elderly people, but at the same time there are many constraints and forbiddens, arranged marriges are common. In Sri Lanka I saw the sades bride ever and I assisted a mentruation party with a very insecure adolecent and many fully drunken man around. Not easy at all and so far from everything I’ve lived before. Nevertheless, when I arrive at Colombo airport my heart smiles, it feels coming home meanwhile. In January I started a new photography class in the one world foundation education unit, Ahungalla, Sri Lanka. My 20 students, all between 17 and 24 years old were open minded to photography and new ideas. On Friday, 15th of March we had a very successful final exhibition of all the works. Enjoy the video about the class! In November 2012 for the third time I took part in the European month of photography in Vienna. In October 2012 a selection of photographs from the series “adolescence l and ll” has been displayed in the Fotoforum Braunau (D). 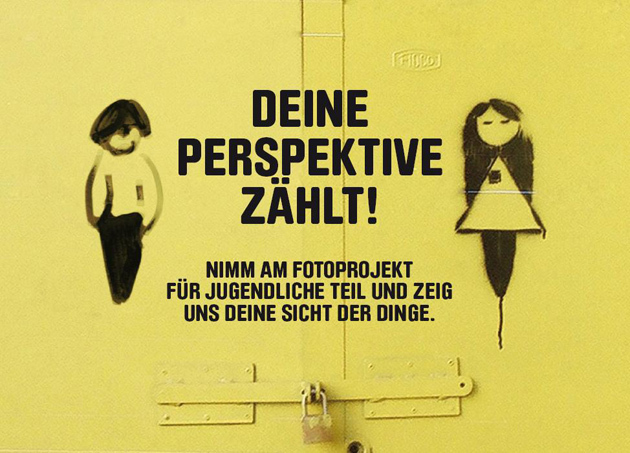 Deine Perspektive zählt is a pilot workshop based in Vienna with the objective to offer homeless young people the possibility to tell their own life stories. In June 2012 we handed out pocket cameras to the participants and asked them to record their social environment and matters on importance of their every day life. Meeting up twice a week we supported the creative process. The project aims to give marginalized youngsters the possibility to express themselves, to increase their self-esteem and to make them visible in our society. In November 2012 as part of eyes on – monat der photographie the best works will be shown in public space. The project is incited by paint for life in collaboration with caritas Vienna and erste foundation. In February, 29th the first paint for life members’ forum took place at the Atelierhaus of the Akademie der bildenden Künste in Vienna. During the day I offered a photography workshop together with the photographer Laurent Ziegler. From October to December 15th, I was teaching photography in the free education unit of the One world Foundation (OWF) in Ahungalla, Sri Lanka. The ngo Paint for life, located in Vienna, awarded me the residence. I designed my classes ike workshops, where the students had the opportunity to create their own work, receive critical feedback and exchange experiences and skills. After learning all technical aspects, the students had to develop their own projects and to define and complete them. The classes aimed to strengthen the students’ life skills, encourage them to realize their own ideas and visions and last but not least having fun to explore their world in a new way: through photography!